Regardless of where you sit there’s always passengers talking about fishing when flying to Alaska or within the state. Flying on Alaska Air I was in seat 3A with jet service to Dillingham, Alaska, last week. The flight is fewer than an hour, but it didn’t take that long for the man in 2C to confess to the cabin that fishing was going to be tough on the Nushagak River. 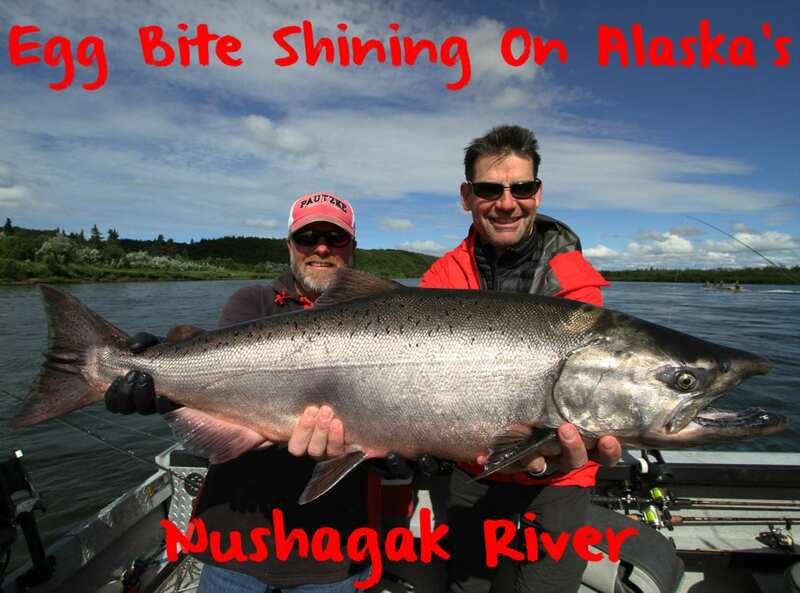 This was our first time to the world-famous Nushagak River. It’s known to sport one of the best king salmon runs in Alaska. I didn’t know what to think. The “Nush” is a bucket list spot. We were flying up to film Pautzke Outdoors. After hearing stories for decades about buddies catching 50 Chinook a day I figured we could fly in one evening and leave the next afternoon. This wasn’t a vacation. It was work. The less time we spent filming here the more we had in other parts of Alaska. I was a little nervous and hoped the trip wasn’t a bust. Fortunately, I knew Bob Kratzer of Alaska Kingfishers would be able to find willing salmon even if the nets were out. We landed in Dillingham, hopped on a floatplane, landed on the river and got settled in. After dinner Kratzer and a few of his guides went fun fishing with us to scout a few spots they hadn’t fished recently. In less than two hours we caught a single grayling. No salmon. The nets were out. 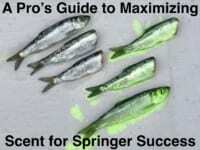 And, Kratzer wasn’t fazed, even though we noticed a lot of frustration in anglers staying at nearby lodges. Despite having to be back at the lodge by noon, Kratzer opted to start at 9am. After the first hour we’d caught more than a dozen fish, likely two-dozen after the second hour passed and we were done. Using a 50-50 mix of Red & Pink Fire Cure and heavily scenting it with Fire Power (krill powder) action was unforgettable, even though Kratzer was disappointed in the slower than expected action. Fortunately, he knew where the fish would be holding and was confident in our bait. We bobber fished our way to endless success in fewer than two hours with the eggs we cured (and filmed the night prior). And, the pressure was on. Due to having a surprise group of guests at the lodge our boat was chalk full. There were six of us, and Kratzer, and he put everyone on action, even with a tough bite. 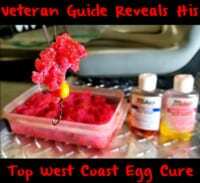 Kratzer’s exact egg curing recipe can be seen in this video filmed last week on the bank of the Nushagak: https://youtu.be/q70HsdGNwqc. There’s only a few weeks left in the king salmon run on the Nushagak, but we’re told the fish are again piling into the river. So far more than 110,000 Chinook have been accounted for including more than 11,000 in the last two days. With more coming action should be back to spectacular through mid July. Editor’s Note: Bob Kratzer operates Alaska Kingfishers on the Nushagak River. For more info on his fly-in lodge please visit https://alaskakingfishers.com.